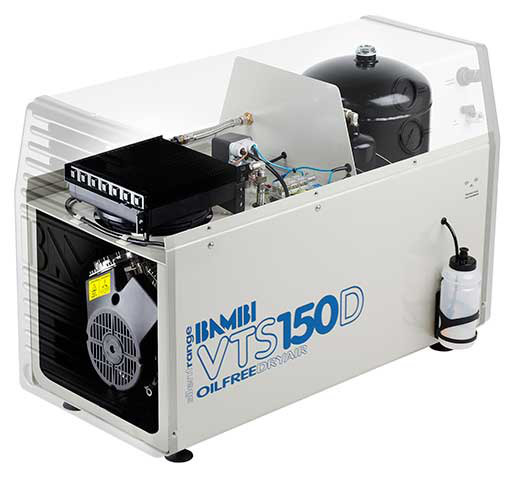 Bambi are a reliable and trusted manufacturer of Air Compressors, based in the Midlands, since 1977. All of the Mercia Dental technicians are factory-trained at Bambi, and have taken courses on all compressed air systems used for dental applications. Our most popular product ranges are the VT, VTS and VTSD models. These products are engineered to an extremely high standard and due to the oil-free running and anti-bacterial coating on the air receiver, provide clean, dry air, which is HTM complaint and fundamental in all dental procedures. 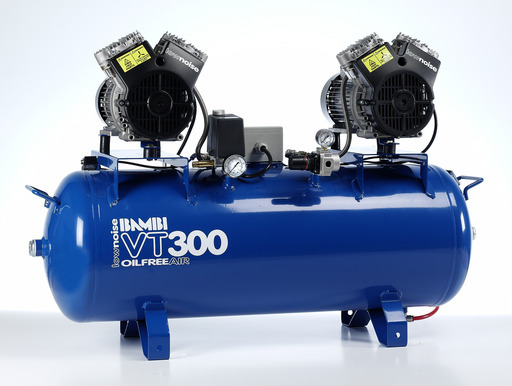 Ready to find out more about the Bambi range of Silent Air Compressors? Give our team a call on 01543 262888 or fill in the form below and someone will contact you shortly.